I’ve written a bit about the recent research, spearheaded by Larry Benson of the USGS, into the sources of the corn found at Chaco. These studies continue to refine the techniques used to identify source areas, but so far they have shown that corn was almost certainly being imported to Chaco both during and after the florescence of the Chaco system between AD 1030 and 1130. As they begin to test more potential field areas, of course, the number of matches for the strontium isotope ratios in the corn at Chaco has increased. 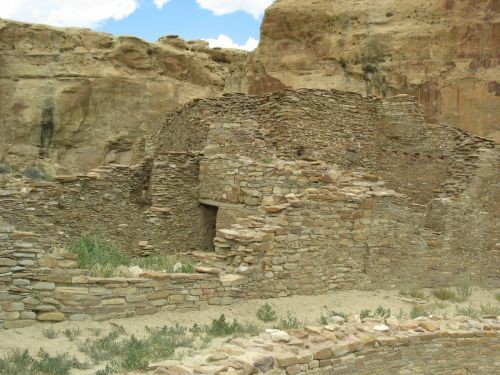 While early studies indicated that much of it likely came from the Chuska Valley, it now looks much more likely that it instead came from the area along the Chaco River between there and the canyon. This is an area with numerous outlying great houses, and it was probably the main route for the many commodities from the Chuska area that were brought to the canyon, and it’s also generally a better area for agriculture than the canyon itself, so this all makes sense. There has also been some evidence that at least some corn was also coming from the Totah area to the north, again a more productive agricultural area with many Chacoan outliers. Based on the proveniences of the corncobs from Pueblo Bonito that were tested early on, one tentative suggestion emerging from this research was that the main sources of imported corn changed over time. 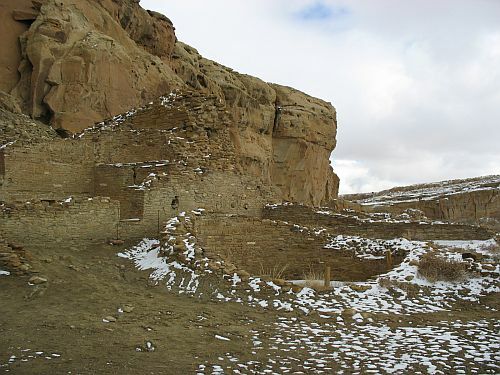 The cobs that came from the lower Chaco River were from Rooms 3 and 92 in the northern part of Old Bonito, one of the earliest parts of the building to be built, while the one cob of possible Totah origin came instead from Room 170, in the southeast corner, one of the newest parts of the site. 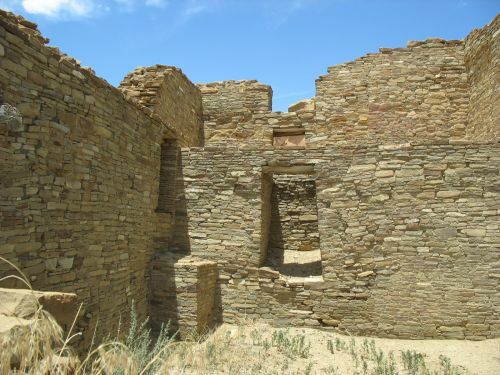 Since there does seem on other grounds to have been a shift in the emphasis of the Chaco system from south to west to north over time, it would make sense that the early rooms contained early cobs from the west while a later room contained a later cob from the north. A paper published in 2008 by a group of big names in Chacoan studies sought to look at this directly by radiocarbon dating the cobs. This is an interesting paper which goes beyond that narrow topic to also look at the characteristics of the corn found at the various great houses and other sites. One of the co-authors is Mollie Toll, a specialist in archaeobotany who has done a lot of research on Chacoan corn. As part of that research, she had long noted that the corn at Pueblo Bonito generally had bigger ears with more rows of kernels than most other corn known from the prehistoric Southwest. It was bigger than earlier and later corn, for one thing, but it was also bigger than most other corn from the same period. Corn from the Chacoan occupation of Salmon Ruin was also unusually large, as was corn from the Talus Unit behind Chetro Ketl, but corn from Pueblo Alto and Pueblo del Arroyo, other contemporary great houses at Chaco, was smaller and more in line with that from earlier and later sites. Toll came up with three possible explanations for the difference. Pueblo Bonito corn could be a different variety or “landrace” from the others, which is plausible but not directly testable with current technology. It could also have been grown outside of the canyon where conditions were better for agriculture, while the corn from other great houses was grown in the canyon where conditions were poorer. Finally, and problematically, the corn at Bonito might not have been Chacoan at all! Since modern corn is generally bigger than ancient corn, Toll (when she was first looking at this in the 1980s) couldn’t exclude the possibility that the corn found at Pueblo Bonito had actually been put there by Navajos in the nineteenth century. Much of it was from George Pepper‘s excavations in the 1890s, so it couldn’t be newer than that, but there was no way for Toll to tell how much older it was. We still can’t tell different ancient landraces apart (although the recent sequencing of the maize genome may make this more feasible in the future), but the strontium isotope testing is giving us a sense of where the corn was grown, and accelerator mass spectrometry now makes directly dating the corn relatively easy. Seven cobs from Pueblo Bonito that had been used in the strontium studies were dated for this paper. One was the cob from Room 170 that possibly came from the Totah, one was from Room 92, and the rest were from Room 3. The results were illuminating, but also challenging. All the cobs clearly dated to ancient times, so the possibility that the size of Pueblo Bonito’s corncobs represents recent deposition is effectively quashed. Three of the Room 3 cobs had closely clustered dates with intercepts around AD 1000, which offered some partial support for the idea that the corn in the early rooms was relatively early, but the other two were widely spaced, one at 870 and at 1170. This is problematic for the idea that the date of corn in a room can be predicted from the date of that room’s construction, but it makes sense that the deposits in a room may date to well after its construction. Since Room 3 dates very early, probably to the 900s, it’s likely that the deposits there resulted from much later trash dumping once it was no longer used for its original purpose. 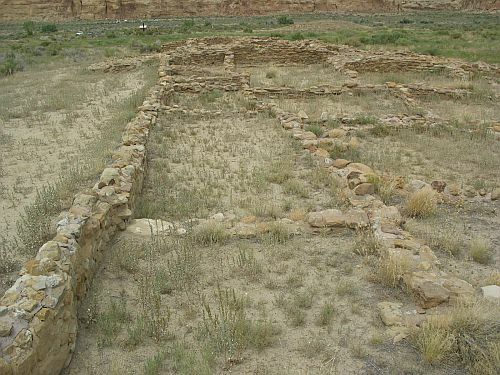 Room 3 has a firepit, so it was probably originally a residential room, and it is likely one of those “big square rooms” that I have argued began to take the place of kivas in Chacoan room suites of the tenth century. Room 92 is part of the maze of confusing rooms next to Room 3. It had a well-preserved floor with corn and bean bushes on it (it’s not clear from Pepper’s description if this was the second or third floor), which suggests that it was used as a storeroom at the end of the period of occupation in this part of the building. The cob from this room had the latest date of any in the study, with an intercept of AD 1220, which is consistent with the idea that this room was in use as a storeroom at the end of occupation. The biggest surprise, however, was the cob from Room 170, which dated to AD 1010. This is particularly odd, since Room 170 was probably built around 1080 or even later. Looking at the probability curve for this date, there is some chance that the actual date was around 1100, but the curve as a whole has a much more prominent peak around the intercept at 1010 than any of the other reported dates, which suggests that the probability is quite high that the intercept does in fact represent the true date or close to it. The authors give various possibilities for why the cob might have been placed in this room long after it was grown, including the idea that it was put there as some sort of ritual offering of continuity with the occupation of earlier parts of the building. I prefer another explanation they also suggest, which is that it was part of an earlier trash deposit that was redeposited in Room 170 for some reason. There is very little information on what the deposits in this room were actually like, but many of the rooms in this part of the building were full of trash when excavated, and I think it’s most likely that this one was too. The trash could have been put there for any number of reasons; if it was redeposited from somewhere else, it may have served as structural fill to support an upper story. In any case, this puts a damper on the idea that the overall sources of corn changed over time. Indeed, the sources seem to have been pretty constant through time for cobs left in different areas of the site, which suggests that the real story is much more complicated. One nice thing about this paper is that the authors do a very good job of properly reporting their radiocarbon dates, particularly in giving point estimates as intercepts, which are meaningful, rather than midpoints, which are not. Many papers make this mistake, including some of Benson’s reporting these and other dates on corn. This paper also shows the probability curves for the dates, which give even more information. This seems to be pretty common these days among Mesoamerican archaeologists, but it’s still quite rare in the Southwest, where radiocarbon dating has only recently become a major focus. 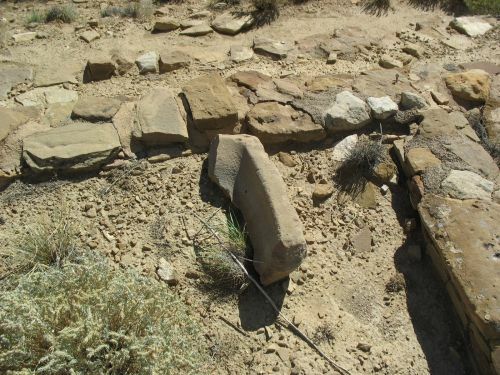 The availability of tree-ring dates, which are much more precise, has generally led Southwestern archaeologists to neglect radiocarbon, but it’s becoming increasingly obvious from studies like this one that the ability to date things other than trees is very useful in interpreting sites. Obviously this paper just reports a handful of dates, and the authors take pains to point out the tentative nature of any conclusions they draw, but it’s an important contribution to the issue of where the Chaco system, whatever its nature, was getting its means of support. As is often the case with new avenues of research, at this point papers like this pose more questions than they answer, but there are plenty of corncobs out there to date and analyze in other ways, just as there are plenty of potsherds to test for theobromine. Once we get a bigger database of dates and strontium (and other) ratios, we’ll start to get a clearer picture of the behavior behind these remains. I mentioned earlier that there was a new paper out on chocolate at Chaco that I needed to read. I read it today, and it’s quite interesting. One of the most interesting things about it is that it’s by a different group of researchers than the first one and uses somewhat different methods. As far as I can tell, all the study of chocolate residue in archaeological pottery until this paper has been done by Jeffrey Hurst at Hershey, in collaboration with a variety of archaeologists. Except for the Chaco paper he did with Patricia Crown, all of Hurst’s work in this area has been on Mesoamerican pottery and in collaboration with Mesoamerican archaeologists. This makes sense, since Mesoamerica is where chocolate is grown and was used most extensively in antiquity. Hurst’s methods involve scraping residue from the interior of pots or grinding up potsherds to test them for the presence of theobromine, a chemical compound that serves as a biomarker for chocolate. They aren’t hugely destructive methods, as analytical methods applied to artifacts go, but there is a certain amount of damage inherent in the scraping (and more in the grinding, of course). This new paper pioneers a different method, which uses a wash of deionized water on whole vessel interiors (this could presumably be done with sherds too, but these authors used whole vessels) and subsequent analysis of the water with a very sensitive mass spectrometer. The researchers are not affiliated with Hershey, but instead with Bristol-Myers Squibb, except for the lead author, Dorothy Washburn. Washburn has for many years now been studying symmetry patterns on pottery and other artifacts and she has come up with a variety of interpretations of social structure and change from the patterns she sees. The work she has done on Chaco has led her to posit that the “special” vessel forms associated with the Chaco Phenomenon, particularly cylinder jars but also pitchers and shallow bowls, show a very different type of symmetry from that prevailing on Pueblo pottery before and after Chaco. In publications such as her chapter in the Salmon Ruins synthesis volume, she further contends that this sudden difference indicates an influx of people from elsewhere with a very different social structure, and she points to Mexico as the most likely source given the presence of both similar symmetries and similar vessel forms there. This puts her in what I’ve called the “hard Mexicanist” camp, not a popular position among Chacoan scholars these days (although this chocolate stuff may start to change that). I don’t really buy her arguments for physical migration of Mesoamericans to Chaco, and I think she generally goes a bit too far in inferring specific social structures from the abstract symmetries she studies, but her evidence for a big difference between Chacoan and other designs is solid and well-taken. Given Washburn’s theories, it makes sense that she would jump at the chance to look for chocolate residue in Chacoan vessels. The Crown and Hurst paper that started all this really came out of nowhere; no one in the Southwest was expecting it at all, and it’s likely to end up being one of the major turning points in interpretations of Chaco. The paper itself, though, was short, and the research behind it was modest in scale. Crown and Hurst only tested five sherds from the mounds in front of Pueblo Bonito, three of which seemed from their curvature to be from cylinder jars while one of the others was from a pitcher and the final one could have been from either a cylinder jar or a pitcher. Testing revealed that the three definite cylinder jar sherds showed evidence of chocolate, while the other two didn’t. This was remarkable, groundbreaking stuff, to be sure, but it was still only five sherds. The really important thing about that paper was that it opened up the possibility of running tests like this on all sorts of sherds and vessels to determine the extent of chocolate use in the prehistoric Southwest, and it seems Washburn was inspired to take it a step further. She and her coauthors, William Washburn, who I presume is her husband, and Petia Shipkova, both of whom work for Bristol-Myers Squibb’s Pharmaceutical Research Institute in Princeton, NJ, apparently developed this new technique for doing the theobromine testing and they applied it not to sherds but to whole vessels. 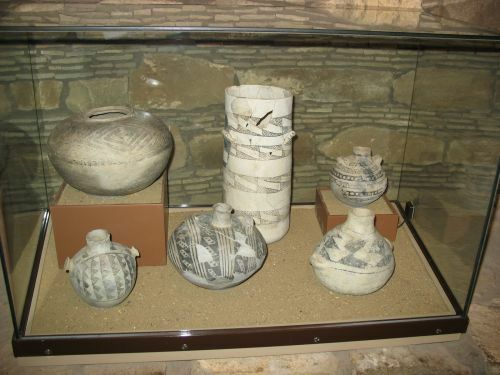 Not just any whole vessels, either; they went straight for the important ones: the cylinder jars from Room 28 at Pueblo Bonito, along with cylinder jars, pitchers, and shallow bowls from burial rooms elsewhere in Bonito (including Room 33). 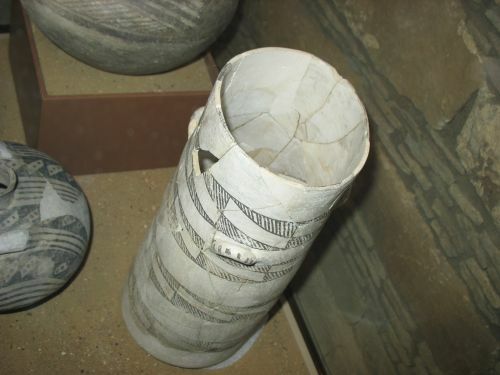 They also tested three cylinder jars from Pueblo del Arroyo, at least two of which are of plain redware rather than the whiteware that characterizes all other known cylinder jars (there is some confusion over whether the other jar is red or white, in that the paper says all three are red but the National Museum of Natural History catalog seems to say that one is white). In addition, they tested a variety of similar forms from the Hohokam site of Los Muertos. This is interesting, because the Hohokam in southern Arizona showed a wide variety of Mesoamerican influences to a much greater degree than Chaco ever did, and one of the first things I wondered when I read the Crown and Hurst paper was whether a similar study of Hohokam vessels would also show chocolate use. They picked Los Muertos specifically because it’s a Classic-period platform-mound complex with what appear to be elite burials. The platform mounds of the Hohokam Classic are the only other phenomenon except for Chaco in the prehistoric Southwest that show clear evidence of social hierarchy, and the authors of this paper clearly chose this set of vessels to see if chocolate use corresponded to increased hierarchy. In all they tested 57 vessels from Chaco great houses and 10 from Los Muertos, and as a control they also tested eight vessels from small sites at Chaco, on the Little Colorado River in Arizona, and in southwestern Colorado. What they found was that most of the great-house and Hohokam vessels did indeed test positive for theobromine. Specifically, 80% of the Los Muertos vessels tested positive, as did 65% of the Chaco cylinder jars, 41% of the Chaco pitchers, and 83% of the shallow bowls from Chaco. The lower percentage for the pitchers may indicate that they were used for a variety of things, not just chocolate, which might in turn explain why Crown and Hurst’s pitcher sherd tested negative. The very high number of positives for the shallow bowls is very interesting, and suggests that this class of vessels, largely overlooked because they resemble local forms more than the cylinder jars, may be more important than people have thought. On the other hand, only 12 bowls were tested (versus 23 cylinder jars and 22 pitchers), so this could just be a fluke of sampling size. These results seem to confirm the Crown and Hurst results and reinforce the idea that the presence of chocolate, a clear sign of ongoing trade and contact with Mesoamerica as well as acceptance of Mesoamerican ideas and practices, may correlate strongly with the evidence for social hierarchy at both Chaco and the Classic Hohokam platform mounds. But wait, what about the small-house sites? 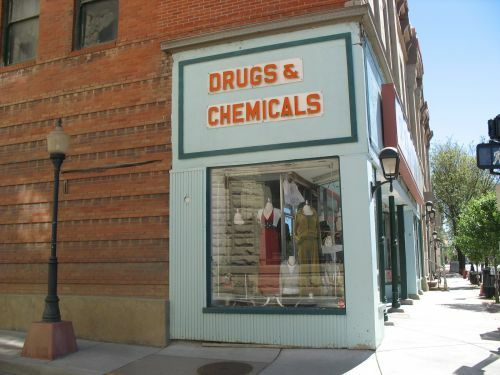 Here’s where things get really interesting, in an unexpected way. All eight vessels from the small houses tested positive for theobromine. This was totally unexpected, and the authors devote quite a bit of discussion to this result. 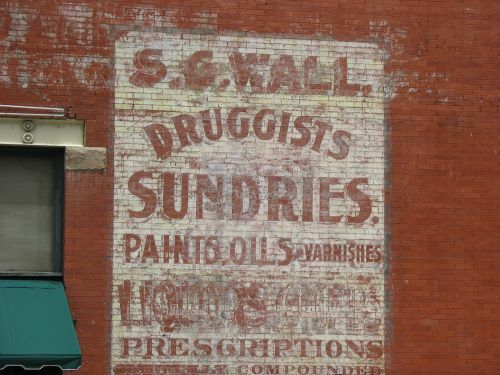 Apparently concerned that there might be a problem with the whole theobromine-testing enterprise, they went looking for native plants in the Southwest that might contain theobromine. If there were any, of course, that would call all of these results into question. They couldn’t find any, so it does seem (unless there’s something amiss with their experimental protocols) that the results for the small houses really do indicate that chocolate was not just confined to the great houses at Chaco and the platform mounds in Phoenix. They suggest that commoners might have been paid in chocolate for their work for the great-house elites, a very interesting idea. In Mesoamerica cacao beans were often used as currency, and if something similar was going on at Chaco that would be cause for some serious rethinking of how the Chacoan economy worked. One issue that the authors don’t really address is that the small houses they picked are all within areas that could plausibly have been part of the Chaco system, so there isn’t really an independent check here on how widespread chocolate was in the region as a whole. They preferentially selected vessels from early excavations because early excavators usually didn’t wash the vessels they found, which makes sense for this type of project but also means that provenience information for the small sites is not ideal. 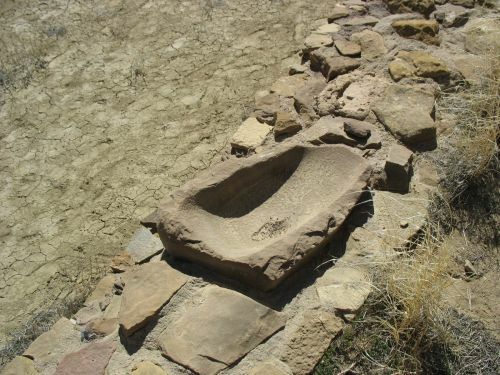 Nevertheless, one of the small houses that produced these vessels was Bc 51 at Chaco, which is right across the canyon from Pueblo Bonito and would obviously have been closely incorporated into the Chaco system. 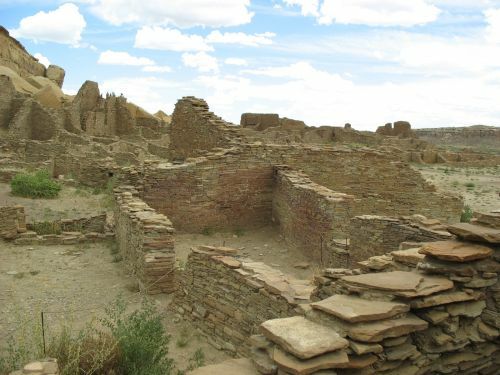 The others included a cluster of sites in the Montezuma Valley of southwestern Colorado, which is an area with several nearby Chacoan outliers, and a site on the Little Colorado River in eastern Arizona that is not located very precisely but could have been relatively close to the far western edge of the Chacoan system. There are several major outliers along the Rio Puerco of the West, a major tributary of the Little Colorado, and some evidence for at least a small amount of Chacoan influence as far west as Winslow. Further testing of vessels and sherds from a wide variety of sites and time periods should help to clarify this picture. The great thing about this chocolate stuff is that it’s all about analyzing pottery, which is by far the most common type of artifact found at sites in the Southwest. 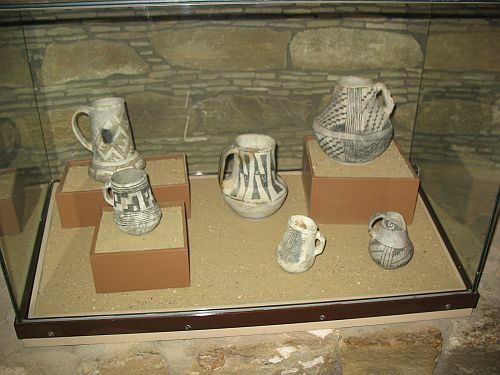 There are vast numbers of vessels in museums throughout the country that could easily be tested using these techniques, and even vaster numbers of sherds collected from sites throughout the region that could potentially produce an unbelievably huge and detailed database of information on the distribution of chocolate in the prehistoric Southwest. There are a lot of questions still outstanding at this point, but there is also a huge opportunity to try to answer them. Hopefully this question will keep a lot of archaeology grad students set for thesis and dissertation topics for years to come, and the rest of us will benefit from the information they find and the patterns they discover.